wanna meet some new-to-you yarn? 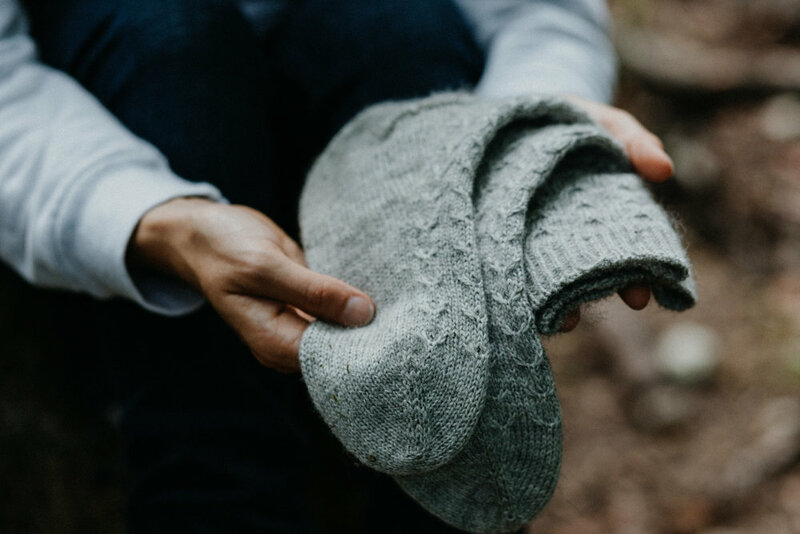 We’re all about making in a sustainable way, and because we care so much about how making materials have been produced, the yarns we design for and recommend are often on the pricier end. And while we do believe in mindful and conscious consumption and in promoting brands that we think do great work (that isn’t going anywhere! ), we also believe in making this community a space that feels welcoming, safe and inclusive for everyone. With our design samples, often enough yarn for at least a small project remains unused, and in order to find a more meaningful purpose for said yarns than the shelf life they’re often living at our HQ, we would love to look for new homes for them! At the same time, we’re hoping that this allows other makers to try yarns they wouldn’t necessarily be able to afford or meet otherwise. So long story short, you’re warmly invited to join our Yarn Mail List to be informed whenever yarns from our design samples (plus a pattern copy to go with it) are looking for new homes! We won’t be asking for details on your financial situation or anything of that sort. And while we made the conscious choice to not set any kind of hard entry requirements, the one thing we’re asking you is to respect that this list was created to contribute to our community in a meaningful way, and to encourage the inclusion of makers in challenging financial situations. Please reflect on how your situation relates to whom Sustainablist Yarn Mail was created for before you sign up. In other words: if your making budget isn’t something you have to think about and you own a stash of beautiful yarns you’d be able to make plenty of projects out of, we’d love to encourage you to consider sustainably made yarns, but this might not be the right email list for you. Thank you for signing up for our email list! Please check your inbox to confirm your subscription.